July 17, 2017 in China, News & Society. July 17, 2017 in News & Society, Spain. July 17, 2017 in Germany, News & Society. July 17, 2017 in Italy, News & Society. July 17, 2017 in France, News & Society. July 17, 2017 in News & Society, United Kingdom. July 17, 2017 in Australia, News & Society. 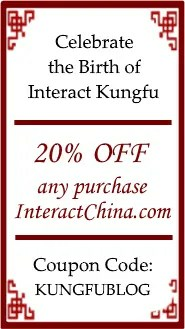 Thank you for reading Interact Kungfu! Acting as a bridge between you and the kungfu way of life, we want to promote the kungfu lifestyle so that you can be your best self, both physically and mentally, and ultimately seeing everyone achieve a healthier life and greater sense of well-being! News & Society brings you updated kungfu and taichi events, plus heartwarming and harrowing tales around the world. Cover Stories focus on discovering a deeper understanding of a specific kungfu topic. Columnists share guru's thoughts on some topics that matter in martial arts. Hall of Fame allows you to follow in the footsteps of kungfu masters. Books & Movies recommend further materials to enhance your understanding of the sport. Zen & Philosophy walk you through the Philosophical world of kungfu. Taijiquan & Qigong explore the peaceful side of this sport. Kungfu Styles learn about hundreds of different Kung Fu Styles from within China. Health & Fitness help you to keep your body in top condition. Travel Destination gives you a tour of kungfu inspired places. Culture & Lifestyle broaden the depth and breadth of your understanding of kungfu culture. Kungfu Kids gets the kids involved in the kungfu way of life. Our Readers is a community for us to learn and be inspired by each other. Sections include "Reader's Letter" to write in with your comments;  "Reader's Sharing" to show off your kungfu posture; "Free Classified" to exchange your goods and/or services; and "Ask the Expert" to answer your questions. Our Partners lets kungfu institutions announce related activities that may be of interest to our readers. Kungfu Magazine provides a visually pleasant reading experience at your leisure time. Kungfu Fashion lets you keep track the trend in outfit for this sport.